Our Slim Permanent Markers are totally ready for a long-term commitment. Available in an assortment of 8 bright Poppin colors, they're perfect for marking up memos, labeling your lunch, or claiming those scissors that keep getting nabbed. No matter what you're writing, these Markers make it last for the long-haul. 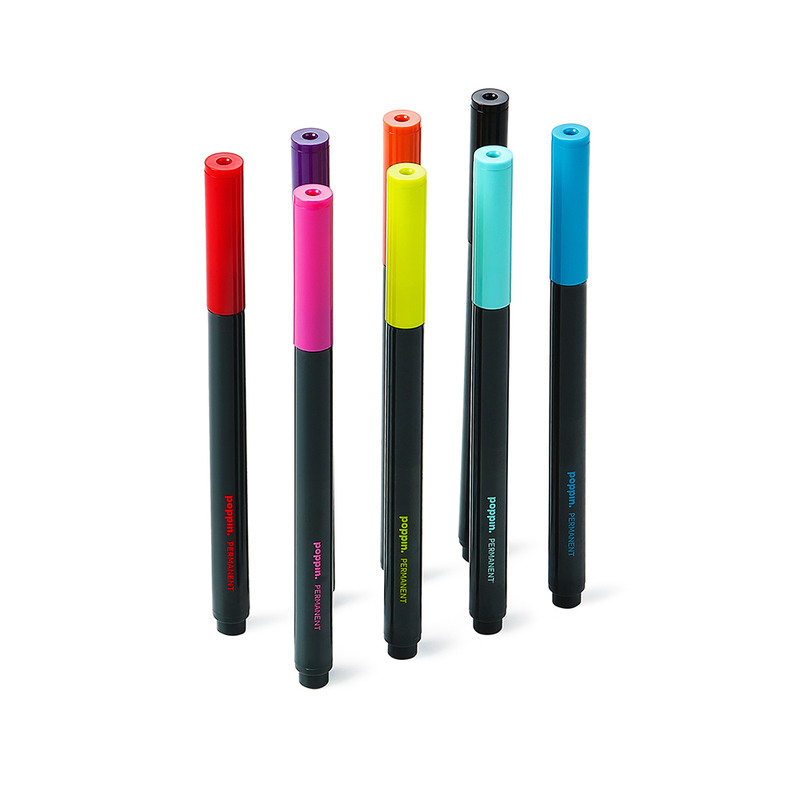 Each box contains 8 assorted Slim Permanent Markers in Black, Red, Pool Blue, Lime Green, Purple, Pink, Orange, and Aqua.